Abhinavagupta (950-1020, Kashmir, India) was one of the most powerfully insightful, deeply profound and logically-clear philosophers of the reality of Living Unbound that the world has ever known. However, he is not at all widely known outside of the circles that his work has touched directly, namely the non-dual Shaivism of Kashmir and certain Indian disciplines of poetics and aesthetics. Here are some quotes from Abhinavagupta on the simple reality of Living Unbound that is the true nature of everyone, the ground of being of pure, liberated awareness underlying “accumulated multiplicity” as Abhinavagupta terms it. This bliss is not like the intoxication of wine or that of riches, nor similar to union with the beloved. The manifestation of the light of consciousness is not like the ray of light from a lamp, sun or moon. When one frees oneself from accumulated multiplicity, the state of bliss is like that of putting down a burden; the manifestation of the Light is like the acquiring of a lost treasure, the domain of universal non-duality. Nothing perceived is independent of perception and perception differs not from the perceiver, therefore the universe is nothing but the perceiver. Philosophy is an elaboration of different kinds of experiences. The abstractions of high-grade metaphysics are based on spiritual experience and derive their whole value from the experiences they symbolize. Relative distinction between two realities is not impossible. This is the doctrine of Supreme Unity in which in which relative distinction is neither shunned nor accepted. While there is an external difference between phenomena, there is none inwardly. The existence or non-existence of phenomena within the domain of the empirical cannot be established unless they rest within consciousness. In fact, phenomena which rest within consciousness are apparent. And the fact of their appearing is itself their oneness with consciousness because consciousness is nothing but the fact of appearing. The group of subjects, the various means of knowledge, the multiple kinds of knowledge and the objects of knowledge – all this is consciousness alone. The Supreme Goddess is the absolute freedom of consciousness which assumes all these forms. Both characteristics, unity and diversity, are found in that which does not fall to the level of an object but which, because it is consciousness, is the supremely real Light. It has only one characteristic, namely, consciousness which is the perfect medium of reflection. This is what experience tells us. The truth is therefore this: the Supreme Lord manifests freely all the varied play of emissions and absorptions in the sky of his own nature. The Light is the supreme reality that encompasses all the categories from Earth to Paramasiva, while the unfolding of the reflective awareness of the Heart of I consciousness within it, distinguishes between them. The extremely pure conscious reality transcends all talk of succession and its absence. Immersing himself in the supreme reality, clearly aware that consciousness is all things, the yogi’s consciousness vibrates. This vibration is the Great Pervasion. The yogi should abide firmly fixed in his own nature by the power of the exertion of his expanding consciousness. Thus he is established on the plane of Bliss relishing the objects of sense that spontaneously appear before him. Perfected yogis (siddha) , are ever steadfast in this, the Supreme Gesture (mudra), the perfect and unobstructed expansion of the awakened. The couple (yamala) is consciousness itself; the unifying emission and the stable abode. It is the absolute, the noble cosmic bliss consisting of both (Siva and Sakti). It is the supreme secret of Kula (the ultimate reality); neither quiescent or emergent, it is the flowing fount of both quiescence and emergence. The variety of this world can only be manifested if the Highest Lord, Who is essentially the pure light of consciousness, exists; just as a surface is necessary for a picture. Other achievements are in vain if one has missed the supreme reality, the Self. But once one has attained this reality there is nothing left that one could desire. For more on Kashmir Shaivism, please see the Living Unbound Kashmir Shaivism Resource Page. The quotes are a work of real research which connect us to our glorious past.The great philosopher is reached to us through this effort. to see the work you’re doing on this site. Coming upon livingunbound.net was refreshing and helpful in terms of writing and work. Keep up the great work guys: I’ve incorporated you guys to my blogroll. In my opinion it will increase the appeal of my own blog. Hello, I’m Paula and I’ve recently started to get involved with what you’re going over. I don’t know where you’re getting your info, but solid job regardless. I really should spend some more time learning and understanding much more. Thanks for this: I was looking for this info for my mission. 1)Can you please tell the difference between kashmir shaivism and advaita vedanta?…..which is astika(vedic) school? 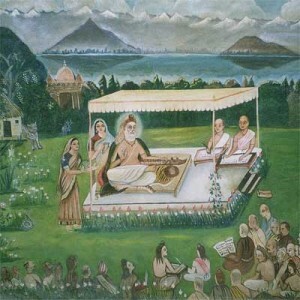 2)why kashmir shaivism is not considered as one among the 6 astika schools of hindu ism? 3)weather abhinava gupta of kashmir got defeated by adi shankara and made black magic against adi shankara? 4)krishna only said brahman is NISKRIYA, in geetha…but how can kashmir shaivism say athman is having activity?? ?…because abhinava gupta only wrote bhashya for bhagavath geetha….what he say for nishkriya brahman…of krishna there? or in other words…why he is not considered as a great mathacharya of india?